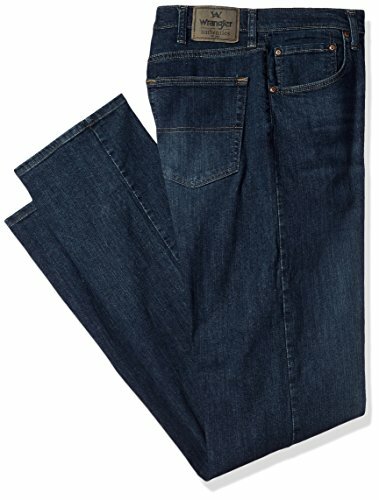 Wrangler Authentics Men's Big and Tall Classic 5-Pocket Regular Fit Jean. This versatile jean is constructed with durable materials and built for long-lasting comfort. Made with a straight leg fit, this jean sits at the natural waist and features a regular seat and thigh. For nearly 70 years, Wrangler has staked its claim as a Global leader in jeans wear, casual apparel and fashion-forward western inspired attire. Wrangler will prepare you for whatever the day may hold. So go ahead, be bold. Be adventurous. Be comfortable in your own jeans.